The market supply curve shows the combined quantity supplied of goods at different prices. The market supply curve is the horizontal sum of all individual supply curves. 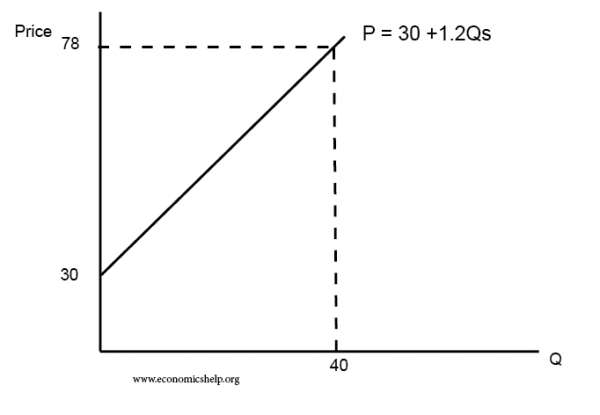 a = plots the starting point of the supply curve on the Y-axis intercept. 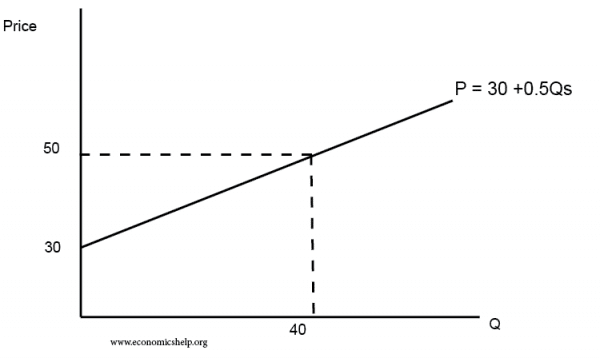 b = slope of the supply curve. 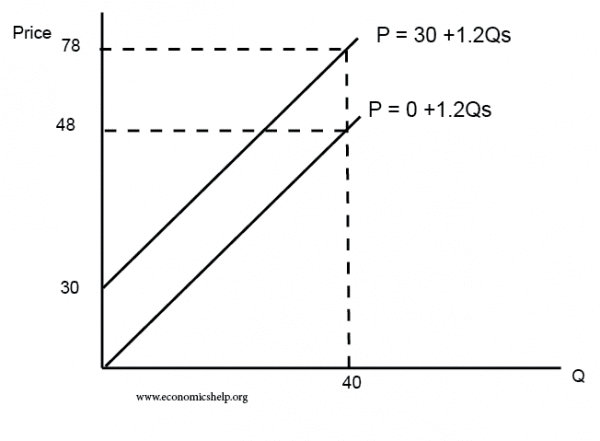 P = 0 + 1.2 (Qs) shifts the supply curve downwards so it starts at the 0,0. Why is supply curve generally upward sloping? Generally, a higher price encourages firms to produce more. This is for two reasons. A higher price makes the good more profitable to produce.